iPhone sales drives Apple to unexpectedly successful quarterly results in the face of tight economic times. Net profit reached $1.21 billion during the three months to March 28th, a notable rise from the $1.05 billion attained in the same three-month period last year. Sales were also uncharacteristically up for a sector looking down, jumping 8.7 per cent to hit $8.16 billion. iPhone sold more than 3.79 million units worldwide in the first three months of the year; a 123 per cent increase on 2008. iPhone revenues hit $2.2 billion for the quarter, while Apple Chief Operating Officer Tim Cook attributed the devices’ success to strong consumer interest in downloading applications. 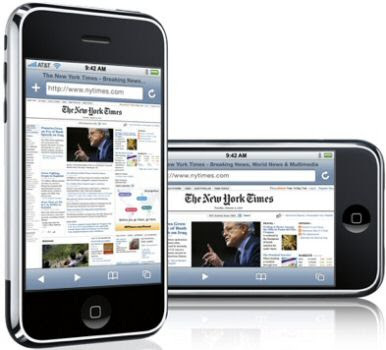 The sum of the iPhone and iPod touch is now about 37 million units thus providing an enormous platform for developers. It unleashes a whole new level of innovation that keeps Apple years ahead of everyone else. Well done Apple.